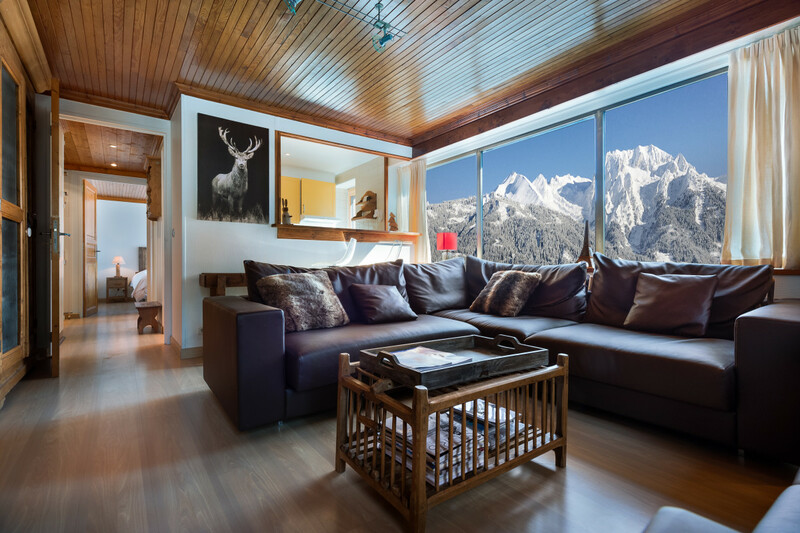 Charming & spacious Ski-in/Ski-out apartment next to the Bellecôte piste. Balcony & garage. "Great Location and Fair quality." The appartment is in an excellent location. On arrival there were cots and high chairs made available for the little ones. Sadly there were no supplies; condiments or coffee for example which given our late arrival after the shops were closed would have been a nice touch. There were towels, bedding and nice toiletries provided in all the bathrooms. Luxvacation were responsive and quickly responded to any pre-arrival enquiries and are more than helpful - thanks again. All round a great trip and would visit again. The kitchen in the appartment did need some updating however with the restaurants in Courchevel who wants to cook! My wife and I stayed in the flat for the first week of March and it was fantastic. The staff was incredibly helpful and welcoming and met us in the resort when we arrived with the key, to show us round and help us with our luggage. The flat was absolutely charming, warm, clean and very well appointed and well kept. Anyone who's ever stayed in a skiing flat will know that they are usually pretty tiny and this was the case but it was well organized and never felt cramped.The location was excellent being no more than 10 meters from the piste.Our thanks go out to Lucas for an excellent holiday.